It started with former general manager Dave Taylor and continued with current GM Dean Lombardi, but the Los Angeles Kings built a champion through the NHL Draft -- plus a few shrewd acquisitions via the trade market and free agency to fill in the holes around the homegrown core. Of the 20 players the Kings dressed in the final four games of the Stanley Cup Final, 10 were drafted by the organization; several others were acquired in trades that featured Los Angeles prospects and picks as the currency going the other way. 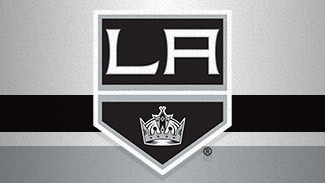 Dustin Brown, Anze Kopitar, Jonathan Quick and Drew Doughty were all drafted and developed by Los Angeles. 1. Tyler Toffoli, C: Toffoli was a second-round pick by the Kings in the 2010 NHL Draft, and he won the scoring title in the Ontario Hockey League the following season. The 6-foot-1, 187-pound didn't stop scoring last season, collecting his second straight campaign with at least 50 goals and 100 points for the Ottawa 67s. He was one of the last cuts from Canada's entry in the 2012 World Junior Championship, but Toffoli auditioned his ability in big games by scoring 11 goals and 18 points in 18 playoff contests for the 67s. After 123 goals and 234 points in 155 games the past seasons in the OHL, Toffoli is ready for a new challenge. His resume and pedigree is such that Toffoli would probably have a decent chance of making the NHL roster in a lot of organizations, but he's likely ticketed for more seasoning with Manchester of the American Hockey League. He could make his NHL debut at some point this season. 2. Tanner Pearson, LW: Pearson was the last pick in the first round in the 2012 draft after a breakout season with the Barrie Colts in the OHL. The 6-foot, 193-pound forward had 37 goals and 91 points in 60 games, making him the top scorer on a Colts team that included 2011 first-round pick Mark Scheifele. But he missed the end of the season because of a broken leg in March. That injury might have dropped him a few places in pre-draft rankings, but the Kings were happy to nab at the end of the first day. Pearson played for Canada in the 2012 WJC, helping his country earn a bronze medal with six points in six games. Pearson could return for an overage season with Barrie, but he is more likely to end up with Manchester. Pearson is a bit of a late bloomer, but he and Toffoli are the best bets to be top-six forwards in the future for Los Angeles. 3. Martin Jones, G: Jones was undrafted but signed as a free agent earlier than most because of an exception in the Collective Bargaining Agreement. Since then he has been crafting the resume of one of the top goaltending prospects in the League. Listed at 6-foot-4 and 189 pounds, Jones has spent the past two seasons with Manchester. His numbers slipped a bit last season, but the team was better in front of him the year before. He was battling with Jeff Zatkoff to be the No. 3 goalie on the depth chart, but Zatkoff signed with Pittsburgh in the offseason, leaving Jones as the clear No. 1 in Manchester -- and maybe even with a spot in Los Angeles if Jonathan Bernier ever gets traded. 4. Derek Forbort, D: Forbort was Los Angeles' first pick (No. 15) in the 2010 NHL Draft, and was the second of a bumper crop of American-born defensemen selected that included Anaheim's Cam Fowler, Carolina's Justin Faulk and top prospects Jon Merrill (New Jersey) and Jarred Tinordi (Montreal). The 6-foot-5, 198-pound Forbort has probably had the least distinguished two seasons of that crop, but defensive defensemen take longer to develop and he's still got plenty of filling out to do before his big frame becomes a big asset. Forbort had two goals and 13 points in 35 games for the University of North Dakota last season while also representing the United States for the second straight year at the WJC. He'll be back in Grand Forks, N.D., for his junior season in 2012-13. 5. Jake Muzzin, D: Muzzin was drafted by Pittsburgh with the 141st selection in the 2007 NHL Draft, but he did not sign with the Penguins after two seasons in the OHL with Sault Ste. Marie. Instead, Muzzin became a free agent, the Kings nabbed him and watched him produce a breakout season in 2009-10 with the Greyhounds -- 15 goals and 68 points in 69 games. Listed at 6-foot-3 and 217 pounds, Muzzin has spent most of the past two seasons with Manchester, though he did earn 11 games with the Kings in 2010-11. He had seven goals and 31 points in 71 AHL games last season, and could be the first defenseman in line for a call-up this season. 6. Nick Shore, C: Shore was a third-round choice by the Kings in the 2011 draft and has spent the past two seasons at the University of Denver with his older brother Drew, a Florida Panthers prospect. Drew Shore signed with the Panthers after his junior season, and Jason Zucker will begin his professional career with Minnesota this coming season as well, so Nick Shore will be the team's leading returning scorer after posting 13 goals and 41 points as a sophomore. Listed at 6 feet and 184 pounds, Nick Shore will be the older brother on the Pioneers as a third member of the family, Quentin, joins the program as a freshman this coming season. A big season could mean Drew will forego his senior season like his older brother did and sign with the Kings for 2013-14. 7. Christopher Gibson, G: Gibson actually hails from Espoo, Finland, and was the backup goalie for his native country at the 2012 WJC, appearing in two games. He actually started the first game of the tournament for Finland, but yielded eight goals on 42 shots in an 8-1 loss to Canada. He stopped 24 of 25 shots in Finland's third group stage game, a 10-1 win against Denmark, but Sami Aittokallio was in the net for the team's final four games. Listed at 6-foot-1 and 187 pounds, Gibson has spent the past three seasons with Chicoutimi of the Quebec Major Junior Hockey League, helping the Sagueneens to the semifinals before losing to league powerhouse Saint John. Gibson and Chicoutimi did beat eventual Memorial Cup champions Shawinigan in seven games in the second round. He'll likely return for a final season before joining Manchester for 2013-14. 8. Thomas Hickey, D: Hickey was the fourth player chosen in the 2007 draft, and being selected that high comes with expectations that he has not been able to meet to this point. After two strong seasons with Seattle in the Western Hockey League, his first professional season with Manchester was cut short by injuries. He has been healthy the past two seasons, producing nine goals and 50 points in 153 games for the Monarchs. Hickey needs to show more of his offensive potential at the AHL level, but he could battle Muzzin for the right to be called up this season. He's still only 23 years old, and could factor into Los Angeles' long-term plans. 9. Linden Vey, RW: Vey was a fourth-round pick in 2009, and essentially replicated his pre-draft numbers in his first post-draft season with Medicine Hat in the WHL. He returned to the Tigers in 2010-11 and had a breakout campaign with 46 goals and 116 points, leading the league in points and finishing second in goals. The 6-foot, 183-pound Vey had a successful first season as a pro, producing 19 goals and 43 points in 74 games for the Monarchs, good for third on the team in both categories. Vey turned 21 last month, and will likely return to the AHL for a second season but could earn an NHL debut at some point in 2012-13. 10. Michael Schumacher, LW: There are several other guys who would be acceptable at this point on the list, but Schumacher is something of a wild card. Listed at 6-foot-5 and 203 pounds, the Frolunda, Sweden, native was the 200th player selected in the 2011 NHL Draft. Schumacher came to North America last season after being part of Frolunda's youth system, and he had 26 goals and 50 points with Sault Ste. Marie in the OHL. He turned 19 last week, and Schumacher will return to the Soo for a second season. There is less probability than some of the other Kings' next tier of prospects, but maybe more potential as well for the big wing.